As one of the world’s most versatile microelectronic fabrication facilities, BRIDG is gaining new strategic partners including Siemens, Massey Services and Face® International Corporation. 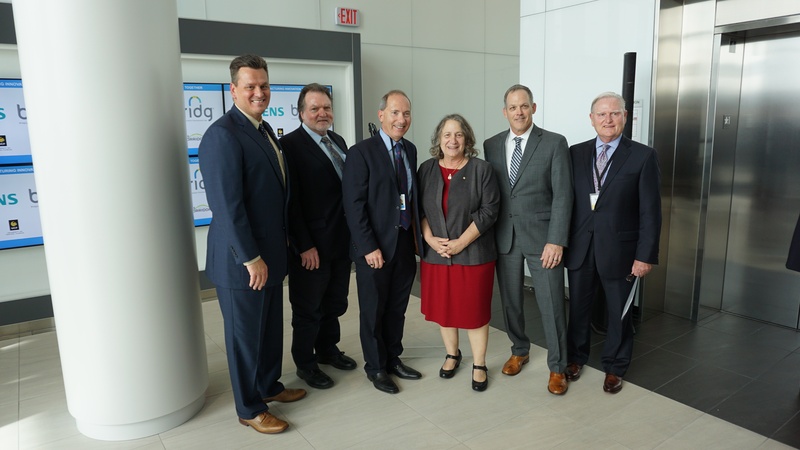 Located at NeoCity, a 500-acre technology district in the Orlando region, BRIDG brings industry and academia together to accelerate the development of new advanced technologies. Companies join BRIDG to innovate for the future of smart technology; as a not-for-profit, public-private partnership, BRIDG provides R&D capabilities for semiconductor processes to enable innovative breakthroughs while also fostering industry collaboration with space to accommodate a variety of partner-funded activities. BRIDG has been quickly growing since its state-of-the-art advanced manufacturing facility held its ribbon cutting in April 2017. Since its opening, BRIDG has gained many more industry partners looking to advance new technologies. Face® International Corporation joined BRIDG to develop its breakthrough energy harvesting power cell – the Evercell™ power cell – a patented energy-harvesting technology that may be capable of powering wireless IoT sensors without batteries. BRIDG and Face intend to cooperatively undertake technology validation for product integration development and prototype manufacturing of Evercell™ power cells with the goal to achieve mass production by 2019. “In driving the continued expansion of the IoT, the Evercell technology has the potential to be to batteries what the light bulb was to candles and oil lamps,” observed Dan Holladay, BRIDG’s Director of Strategic Partnerships. 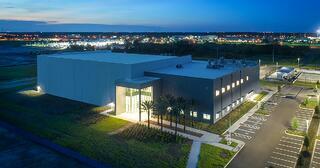 BRIDG also announced partnerships with Orlando-based companies Siemens and Massey Services. Siemens, a global powerhouse with U.S. headquarters in Orlando, is working with BRIDG to launch a milestone within the industry: the first Semiconductor Digital Enterprise Solution. With a $30 million in-kind grant to drive the development of digital twin technologies and generate a global difference, the Siemens partnership with BRIDG also leverages an existing 30-year relationship with the University of Central Florida (UCF) and further solidifies Siemens’ commitment to the Orlando region. Massey Services, the nation’s fifth largest pest management company, will partner with BRIDG to provide the company with the ability and opportunity to co-develop products utilizing BRIDG’s microelectronics facility. This partnership enables Massey Services to leverage cutting edge sensor technology that will further benefit its customers and businesses. Supported by visionary stakeholders—Osceola County, the University of Central Florida, and the Florida High Tech Corridor Council—and many other partners, BRIDG provides the physical infrastructure and collaborative processes to connect challenges and opportunities with solutions – "Bridging the Innovation Development Gap" that makes commercialization possible. Learn more about BRIDG and sign up for updates here.